Wassenaar’s family planted an acre of potatoes each spring, to be used in the school hot lunch program. His brothers and he would have to hoe and harvest the potatoes, and bring them to the school. Now, his family lives in town, and they are glad to be able to take their children to visit grandpa’s farm, and to our farm for the strawberry harvest. Not many children have access to ‘Grandpa’s Farm’ anymore, and they are losing a vital piece of our agricultural heritage and the lessons of faith that come with farming. 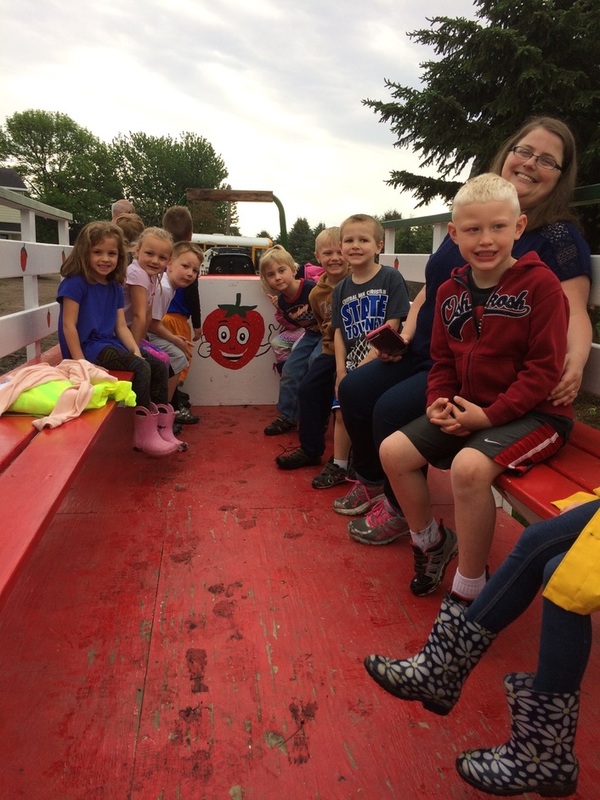 Soon, we will be welcoming school groups from both MACCRAY and CMCS, and we are looking forward to sharing with them the joy of a wagon ride, the pleasure of playing with baby animals, and the rhythm of caring for the crops. Are you making plans now to come to the farm? We don’t know exact dates yet, but probably late June through early July you will be able to bring the children in your life to experience real farming and a sweet harvest. This pre-school class from CMCS had a blast last spring! Here is a video peek into last week’s strawberry planting with friends and family! We took a break halfway through planting to burn the CRP land, which was a spectacular way to celebrate with the people that came out to help us! We’d be honored if you wrote sarah@brouwerberries.com to share your childhood lessons from ‘Grandpa’s farm’. P.S. Don’t forget that the strawberry season is ONLY THREE WEEKS long! You’ve put up with too much winter to miss this chance for a sweet summer memory!